Every roof has weak points that make it highly susceptible to weather damage. Doubly so if you have low-quality components, inadequate roof care and insufficient roof inspection. That’s why we’re here to help you identify the common problem areas of your roof and how to address them. 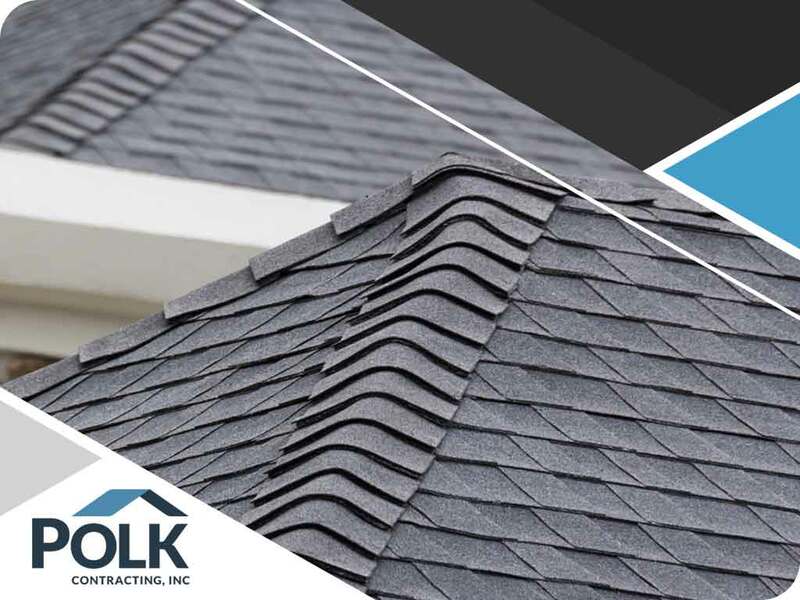 Polk Contracting Inc., the leading roof and door replacement company, discusses more. Roof flashing keeps the weak areas of the roof, such as valleys, ridges and chimneys, free of water damage. Without proper care, these areas would easily lose their integrity, loosen and allow rainwater to seep through the roof seams. Rain gutters are the second most vital part of a roofing system as far as watertightness is concerned. They end up draining rainwater to keep your shingles dry and free of moisture issues. When they stop functioning efficiently, however, water can easily damage your interior and exterior components (like the attic and siding, respectively). Keep a close eye on clogging and heavily-laden gutters due to large volumes of rainwater. As one of the leading gutter and siding contractors in the area, we offer reliable gutter services to address any drainage issues. Your asphalt shingles are constantly under threat from everyday wear and tear. Because of their huge contribution to your roofing system’s integrity, they require the most attention, too. Always be conscious whether your shingles are curling, broken, missing, or blistering to bar outdoor elements from slipping past and causing damage inside your home. Polk Contracting Inc. is the top window and door contractor to contact when you need inspection, repairs, or replacement. You can call us at (410) 660-2922 for more information or fill out our contact form to request a free project quote. We proudly address the roofing needs of residents of Bel Air and Abingdon, MD and surrounding areas.